This whole grain Einkorn pizza dough makes a soft and tender pizza crust that has a deliciously rich flavor. It is packed with all the goodness of whole grain and the additional flavor and nutrition that Einkorn is known for. Einkorn is the most ancient variety of wheat that is still in its original state. It has never been hybridized or altered. The Einkorn that you buy today has the same chromosomal structure as it did millions of years ago. It is the same wheat that was cultivated and eaten in the biblical days and most certainly used to make bread that Jesus ate. Einkorn is the original wheat. Wheat grown the way God intended. Over the years wheat has been hybridized, sometimes by natural elements and sometimes through human manipulation. With changes in the wheat came big changes in the gluten composition. The gluten in modern wheat is hard to digest and some people are quite sensitive to its effects experiencing bloating, abdominal pain, indigestion, depression, a foggy brain, fatigue, headaches and inflammatory responses causing joint pain. The gluten in Einkorn is much different and easier to digest. Although it is not recommended for anyone with Celiac disease, many people with gluten sensitivities find they can easily tolerate Einkorn. Einkorn bread does not need to be kneaded as much as traditional bread. The gluten in Einkorn is different and will not develop with excessive kneading. 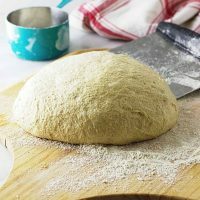 As a matter of fact, over-working the dough will break the gluten down and make the dough stickier, harder to handle and can create a more crumbly texture after it is baked. An easy way to develop the gluten without overworking it is to use a stretch and fold technique. You can keep the dough in the bowl, stretch and fold it in half. Then turn the bowl 1/4 turn and stretch and fold it again. Repeat this until you have folded it 4 to 6 times then let it rest for 5 to 10 minutes. Repeat the stretch and fold process 4 to 5 times at 5 to 10-minute intervals then let the dough proof. 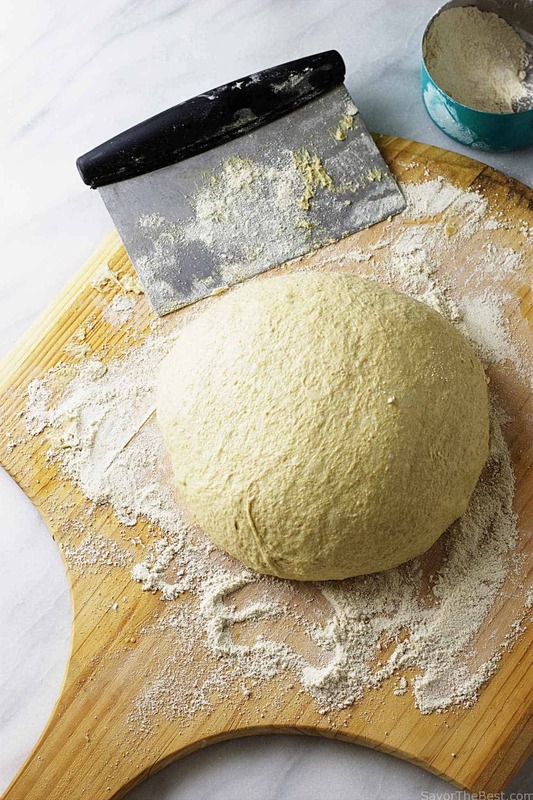 Dough made with einkorn flour will be stickier than standard bread dough. Use wet hands and tools to handle the dough. You can also put oil on your hands and tools to help prevent the dough from sticking to them. Einkorn absorbs liquids and fats slowly, if the dough seems too wet on the initial mixing, allow it to rest and go through the first rise before adding more flour. 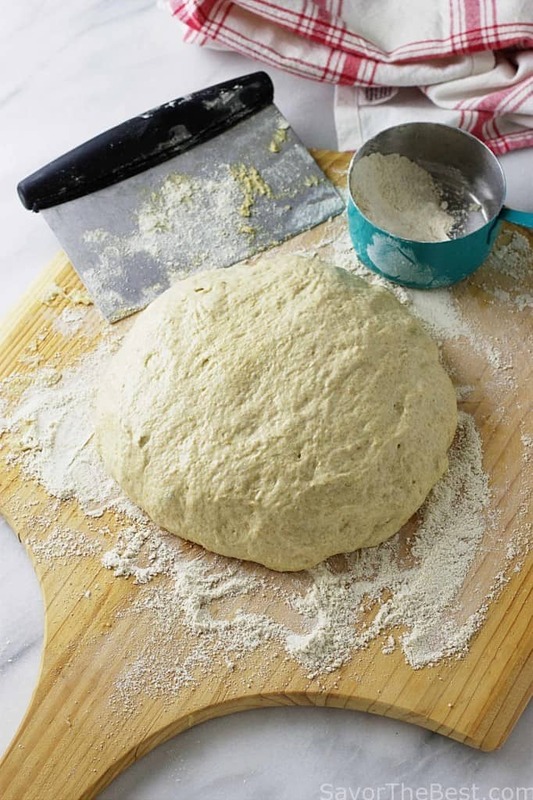 If you do add more flour to the dough, only add enough so that it holds its shape. 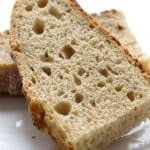 If you work in too much flour, the bread will become dry and dense. That being said, this recipe is for a 68% hydration dough which is a fairly wet dough to start with and in combination with the stickier nature of Einkorn, this dough may seem difficult to handle. It isn’t the type of dough that you can toss in the air to stretch but it IS very easy to shape if you keep your hands wet. Remember, wet hands will keep the dough from sticking to you. When you are ready to shape it, put a generous amount of flour on a piece of parchment paper, spread the dough out with your wet hands and slide the parchment paper onto your pizza stone or baking sheet. Using the parchment paper will make this dough so much easier to work with, guaranteed. We love this whole grain einkorn pizza dough. The dough can be made in advance and frozen for up to three months. Just divide it into pieces that are big enough for a pizza and store it in an airtight container. When it is time to make pizza, pull it out of the freezer and let it thaw at room temperature. Have you made this whole grain einkorn pizza dough? We would love to hear from you. Tag us on Instagram and like us on Facebook. Combine the Einkorn flour, instant yeast and salt in a large bowl. Stir in the water, olive oil and honey until well combined and you have a wet, sticky ball of dough. Allow the dough to sit for 5 minutes to allow it to absorb the moisture. Einkorn flour takes longer to absorb liquid. Use a wet bowl scraper or wet hands to stretch and fold the dough several times. You can keep the dough in the bowl for this process. Stretch and fold it in half then turn the bowl 1/4 turn and stretch and fold it again. Continue folding the dough and turning the bowl until you have folded the dough 4 to 6 times then let it rest for 5 minutes. Repeat the stretch and fold process 3 more times at intervals of 5 to 10 minutes. You will notice the dough will become firmer and easier to handle with each interval. It will still be a stickier dough than dough made with modern flour. Smooth some oil on top of the dough and cover it with plastic wrap then let it sit at room temperature for 1 1/2 to 2 hours. At this stage you can either store it in the freezer or fridge or you can prepare to bake it. To store it, wrap it in plastic wrap and seal it in a ziplock bag. Store in the fridge for 3 days or the freezer for 3 months. When your ready to use it, if your dough is frozen let it thaw in the fridge for 6 hours or overnight. Remove dough from the fridge and let it sit on the counter at room temperature for 1 to 2 hours before making pizza. Pre-heat the oven to 450°F. Sprinkle flour onto a work surface and press the ball of dough into a flat circle. This dough is soft and easy to shape but can be sticky. You can sprinkle the surface with flour or use wet hands to shape the dough and keep it from sticking to your hands. Add your toppings and bake for 8 to 10 minutes. You will have the best success if you weigh your ingredients, especially your flour. Depending on how you scoop your flour you could end up with anywhere from 95 grams to 140 grams per cup of flour. We use a standard measurement of 96 grams of whole wheat flour to 1 cup for consistent results. Einkorn bread does not need to be kneaded as much as traditional bread. The gluten in Einkorn is different and will not develop with excessive kneading. As a matter of fact over-working the dough will break the gluten down and make the dough stickier, harder to handle and can create a more crumbly texture after it is baked. Einkorn absorbs liquids and fats slowly, if the dough seems too wet on the initial mixing, allow it to rest and go through the first rise before adding more flour. 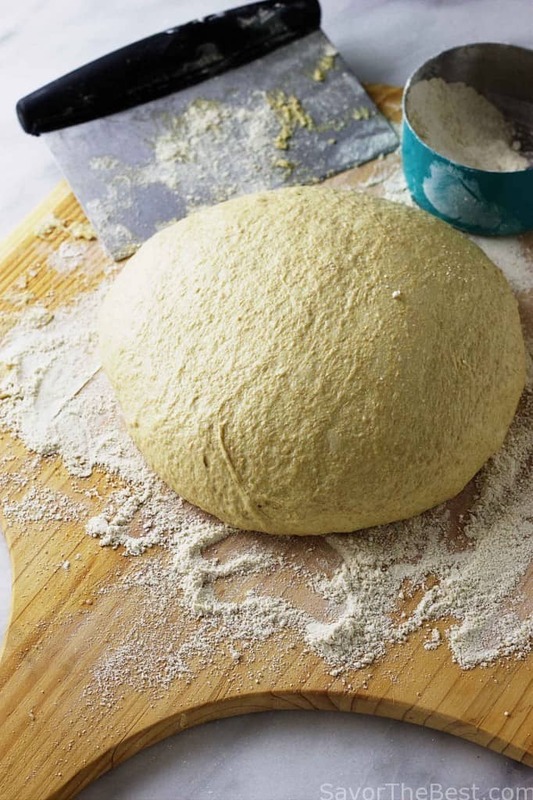 If you do add more flour to the dough, only add enough so that it holds it’s shape. If you work in too much flour, the bread will become dry and dense. This recipe is for a 68% hydration dough which is a fairly wet dough to start with and in combination with the stickier nature of Einkorn, this dough may seem difficult to handle. It isn’t the type of dough that you can toss in the air to stretch but it is very easy to shape if you keep your hands wet. Remember, wet hands will keep the dough from sticking to you. When you are ready to shape it, put a generous amount of flour on a piece of parchment paper, spread the dough out with your wet hands and slide the parchment paper onto your pizza stone or baking sheet. Using the parchment paper will make this dough so much easier to work with, guaranteed. Weather will have an affect on baking yeast leavened bread. A humid day will soften your dough more than a dry day. A humid day will also make your yeast work stronger and faster than it will on a dry day. 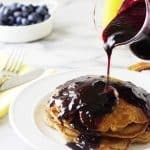 Although this recipe works quite well on a very wet, humid day, you may find that it is easier to handle if you cut back on the liquid by a tablespoon or two if you make it on a rainy day. I’d like to try this. All I have is all purpose Einkorn flour. Can I substitute that for the whole wheat flour? Yes Cindy, you won’t need as much liquid. Try cutting the liquid down by 2 or 3 tablespoons. Tried this recipe out. Best pizza dough so far! 🙂 My husband who is a pizza lover said he could totally have this multiple times a month. Finally! And so informational. Thank you so much. I especially liked the weighing of the flour technique. I find this will fix many of my baking problems. I use a grain mill so that can always throw off recipes but not now. So glad you like it Rachel. My husband is a fan of this one too so I make a double batch and freeze some of the dough for quick weeknight dinners. Home made pizza dough is awesome!! I need to make more of it. You make it looks so easy. 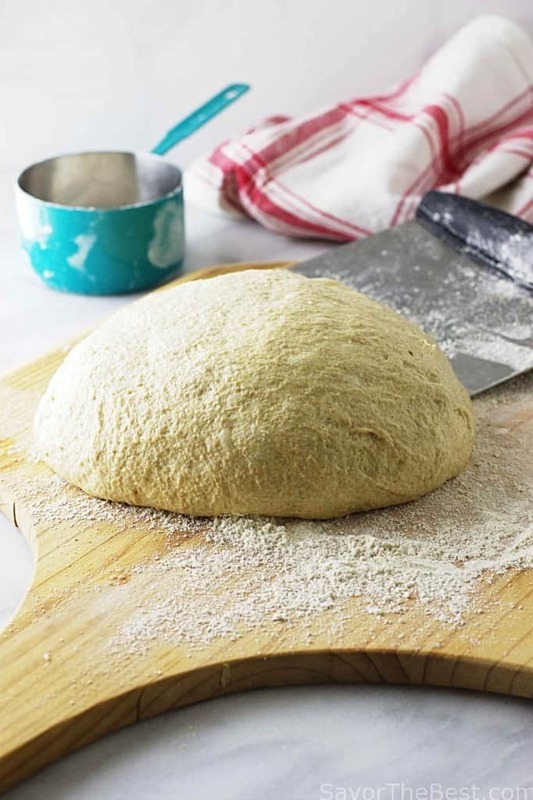 I love pizza with homemade crust and this Einkorn dough looks perfect for a homemade pizza. Now to decide what to put on top! I have never heard of this dough before, but you can’t beat homemade pizza. Then you can load it up with toppings! True Dannii, you can’t beat homemade pizza. It’s the best! I’ve never even heard of that flour type before, and I thought I’d come across them all! I love making my own pizza bases so this would be a nice way to mix it up a bit – is Einkorn flour available easily in the UK? Luci I would be surprised if you can’t get Einkorn in the UK, if it is not already available in a store near you, try Einkorn.com or Amazon. Einkorn flour? Very interesting. I’ve never bought that kind of flour before, but I’d try this! I don’t like buying the store bought stuff, and so I hardly make pizzas of my own. This will be great! Mica, you will love this flour. I often make extra dough and freeze some for a fast and easy meal later in the month.